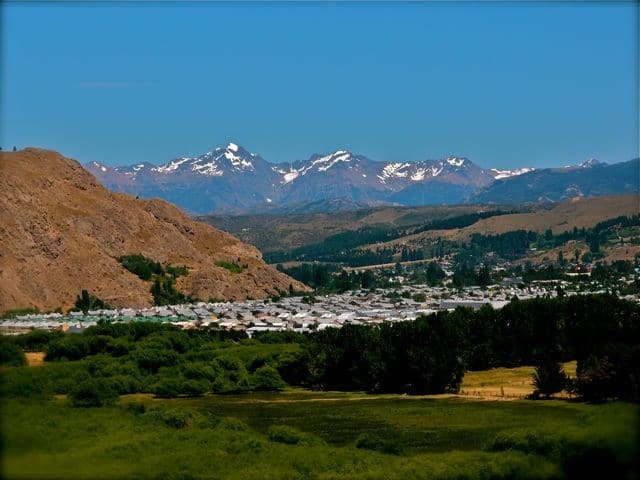 Located about 300 km south of Bariloche, Esquel is a breezy town in a fertile valley, with a mountain backdrop. 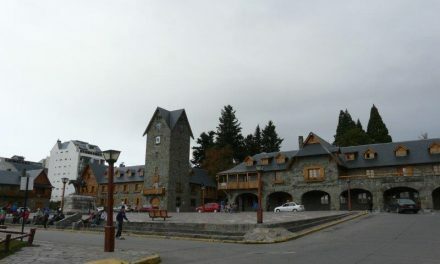 It attracts tourists year round, as it is the base for visiting Los Alerces National Park, La Hoya ski resort and the starting point for the famous La Trochita train. 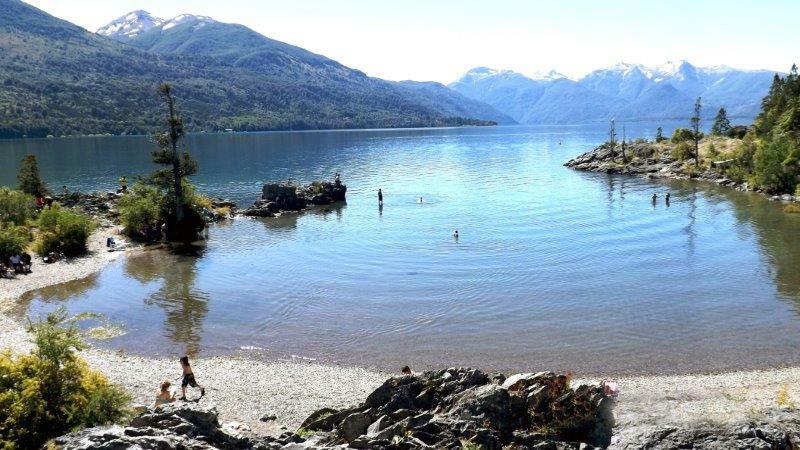 :: Los Alerces National Park: This park is composed of 13 lakes and various river systems, including Lake Futalaufquen and the Arrayanes River- two of the country’s best fishing spots. Others include, Lake Menéndez, home to a forest with 3,000-year-old, 60 m tall larch trees and Lago Verde with its green waters. :: La Hoya ski resort: Located about 13 km from Esquel. Its southern orientation allows for great snow conditions, making it an ideal spot for spring skiing. :: La Trochita: Is a historical steam engine train which dates back to 1922. It runs on narrow gauge tracks (75 cm wide) up to the “Nahuel Pan” train station, where a Mapuche community is settled. 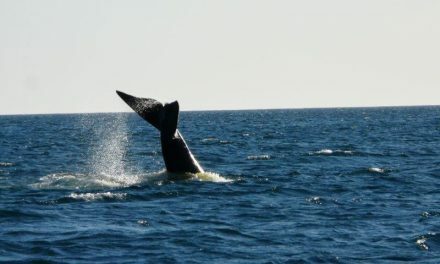 It currently serves as a tourist attraction. :: Trevelin: A small Welsh settlement 23 km from Esquel, where the customs, traditions and language are still maintained and are very much a part of every day life. 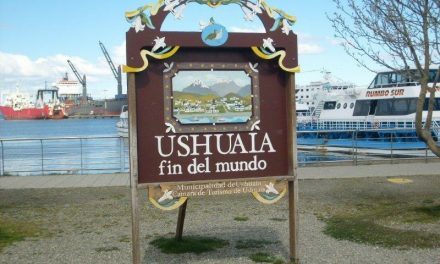 Tip: It’s easy to cross the border by bus to Futaleufú in Chile, the perfect starting point to explore the awe-inspiring Carretera Austral area. Keep nice and warm inside this friendly hostel located right in the city’s centre opposite of Esquel’s tourist office. Run by a welcoming couple of travellers who speak Spanish and English, Planeta Hostel is the ideal place where you can meet other nomads, taking advantage of the LCD television screen and comfortable armchairs in the living room. 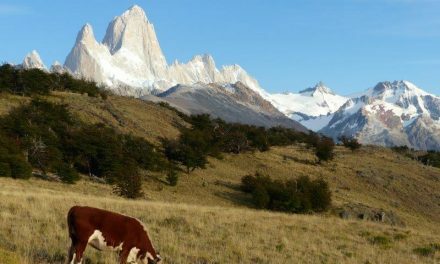 Rustle up some Patagonian cuisine in the large fully equipped kitchen or BBQ area, or head out to the nearby bars, restaurants and shops. Planeta Hostel has hotel quality double rooms with private bathrooms and Led-TV, comfortable shared rooms, heating throughout and hot water 24hrs a day to keep you comfortable. Your stay includes a very complete yummy breakfast with the most delicious jams ever! 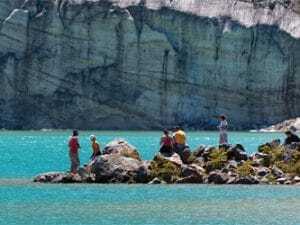 Enjoy creating wonderful memories of Patagonia at Planeta Hostel! Frontera Sur, operating all year, is your perfect pick to book all traditional excursions. However, their real cup of tea is adventure tourism with rafting, horseback riding, trekking and kayaking! 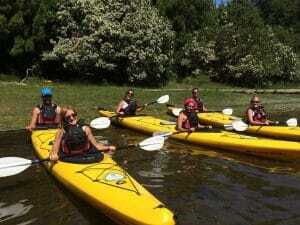 Sign up for one of their fabulous kayak tours in the breathtaking Los Alerces NP, or hop on a SUP (stand up paddle board), the hype of the moment all over the planet. (half day & full day trips). Book at their office in Esquel or at the campsite. One of the only campsites at Lago Verde, in the heart of the Los Alerces NP, Lago Verde Camping is run by Frontera Sur. It’s located on the banks of the lake and close to most trekking trails. You’ll find several fire-places, benches & tables, bathrooms with hot water and a small shop to buy food & drinks. Enjoy being in close contact with nature at this beautiful place! Campsite open December till March.